This series explores human right law's place within the international legal order, offering much-needed interdisciplinary and global perspectives on human rights' increasingly central role in the development and implementation of international law and policy. 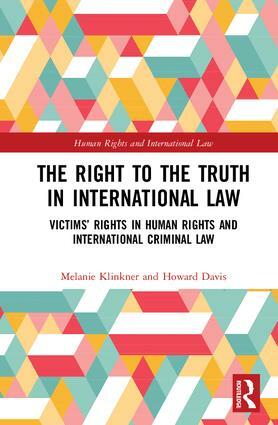 Human Rights and International Law is committed to providing critical and contextual accounts of human rights' relationship with international law theory and practice. To achieve this, volumes in the series will focus on major debates in the field, looking at how human rights impacts on areas as diverse and divisive as security, terrorism, climate change, refugee law, migration, bioethics, natural resources and international trade. Exploring the interaction, interrelationship and potential conflicts between human rights and other branches of international law, books in the series will address both historical development and contemporary contexts, before outlining the most urgent questions facing scholars and policy makers today.